A class-action lawsuit against Texas-based Service Corporation International has been settled for an estimated $80 million, ending a jury trial in Los Angeles that alleged the Eden Memorial Park cemetery had disturbed hundreds of graves to fit more in. The settlement was announced Feb. 28, 2014 in court documents filed in Los Angeles Superior Court. 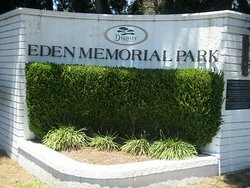 According to a story by the Associated Press, SCI denied wrongdoing but agreed to establish a $35.25-million settlement fund for plaintiffs, who alleged that managers at the Jewish cemetery knowingly broke as many as 1,500 buried concrete vaults between February 1985, when Eden Memorial Park was bought by SCI, and September 2009. The lawyer for the plaintiffs, Michael Avenatti, estimated the total cost of the settlement will be closer to $80 million. The plaintiffs alleged that Eden secretly discarded or lost human skulls and other remains in a “dump area” to make room for new graves. Click here to read the claims alleged in the Eden Memorial Park class-action lawsuit. An estimated 40,000 people are buried at Eden Park, including comedians Groucho Marx and Lenny Bruce. “We have every reason to believe that these morally despicable and fraudulent business practices were committed intentionally and have been ongoing for many years,” the plaintiff’s lawyer, Avenatti, said earlier about the civil lawsuit. State investigators said in 2009 that they could find no evidence that Eden mishandled graves. But the next year, a Los Angeles Superior Court judge ruled that the cemetery intentionally cleaned out the cemetery’s dump, where workers allegedly disposed of loose bones and broken concrete sections. SCI was ordered to preserve evidence for the jury trial, which began earlier this year. Final court approval of the settlement is expected in May. SCI agreed to a $100-million settlement for a similar lawsuit in Florida in 2003. That lawsuit alleged that two SCI-owned cemeteries buried people in the wrong places, broke open vaults to squeeze in other remains and, in some instances, tossed bones into the woods. SCI is the largest funeral provider in North America, owning many of the funeral homes in the Vancouver area and across Canada. It owns and operates 1,644 funeral homes and 514 cemeteries in 43 U.S. states, eight Canadian provinces and Puerto Rico, according to SCI. The purpose of this site is to educate the public about funeral providers and raise awareness about consumer rights in relation to funeral services. The B.C. Consumer Protection Branch regulates the funeral industry. This entry was posted in Complaints about funeral homes and tagged Eden Memorial Park lawsuit, SCI settles class-action lawsuit for $35 million, Service Corp. International. Bookmark the permalink.